Imprint area: 1 color - 2" x 2 9/16"
A long time best-seller, the Baronet playing card deck is perfect for any promotion or branding need. Poker size playing cards available in 23 background colors and 23 imprint colors. Perfect for tradeshows, weddings, proms and other special occasions. These decks are printed in the USA on high-quality casino stock with low minimums and quick lead time. 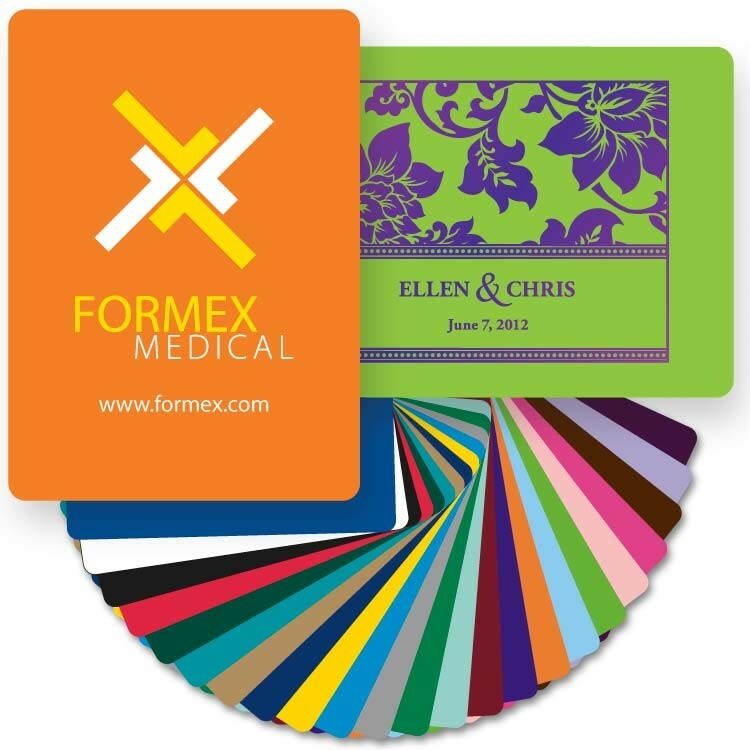 Here are some great ideas on how to personalize playing cards & attract new clients.